Upon opening this book I was impressed; the foreword was written by Jack La Lanne a pioneer of health and fitness. I watched The Jack La Lanne Show as a kid; it was the first fitness show on TV; I’ve been involved in health and fitness since. This is a man who on his 70th birthday swam a mile while shackled to 70 boats carrying 70 people. He attributes his outstanding health, now at 95 years young, to clean living. 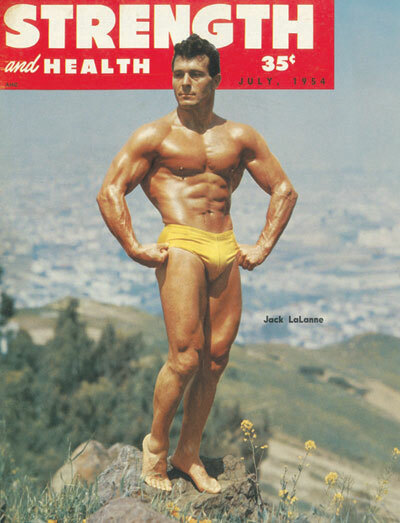 Jack La Lanne was the first well known advocate for deriving health and strength from ?eating clean?, which is the premise of The Eat Clean Diet for Men. This book is an easy to follow prescription to change your health for the better with no carb or calorie counting. It’s loaded with helpful tools like: creating a game plan for grocery shopping to ensure healthy choices, eating on the road, and eating right while dining out.
? Eat 5 or 6 small meals a day.
? Combine lean protein with complex carbohydrates at every meal.
? Never miss a meal, especially breakfast.
? Avoid all over-processed, refined foods especially flour and sugar.
? Avoid sugar-loaded colas and juices.
? Consume adequate good fats (EFA?s) each day.
? Stick to proper portion sizes ? give up the super sizing! There are only two points made in the book that I firmly disagree with. The first is the recommendation to avoid all saturated fats. The fact is, these fats are very healthy and a necessary part of the human diet; saturated fats have nothing to do with obesity or cardiovascular disease as the media and medical community has lead us to believe. Second and probably most important, soy milk is on one of the grocery lists and included in a few recipes. Soy?s deleterious effects are indisputable and I?ve written about them several times. Among other problems with soy, twenty five grams of soy product per day is enough to disrupt your thyroid function, which is at odds with becoming leaner and healthier. Just use skim milk. Outside of the above two concerns, I enjoyed reading The Eat Clean Diet for Men. Robert Kennedy and Tosca Reno make eating clean as fail proof as possible. I recommend this book not only to the average person just trying to lose that extra weight and improve their health, but to the experience fitness buff as well. I?m certain that anyone who reads The Eat Clean Diet for Men will take away something from this book to improve their lives.